Another cult-like church in the country is under investigation following the Ngcobo massacre last week. 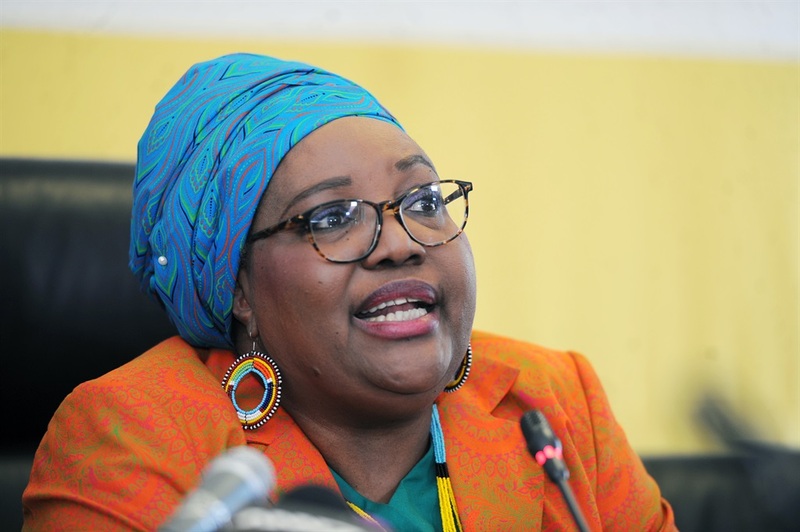 This was revealed by Thoko Mkhwanazi-Xaluva, chairperson of the Commission for Promotion and Protection of the Rights of Cultural, Religious and Linguistic Communities (CRL), at a media briefing at the commission’s headquarters in Braamfontein on Thursday. Mkhwanazi-Xaluva said a church in Limpopo was under investigation because it operated in a similar way to the Mancoba Seven Angels Ministry in Ngcobo. The ministry made headlines following the killing of five police officers at a police station, allegedly by its members, in the early hours of Wednesday last week. Three of the seven Mancoba brothers suspected of involvement in the murders of the officers were killed during a shoot-out with police on Friday last week. Mkhwanazi-Xaluva said they were monitoring other similar churches in the country. However, she would not divulge the names of the churches concerned. CRL spokesperson Mpiyakhe Mkholo said they feared that divulging the names of these churches in the early stages of their probe would result in them going underground. In the next two weeks, the commission would also file papers in the Constitutional Court to seek a declaratory order on the constitutionality of their recommendations following an investigation into church practices in 2016. Their recommendations, which were contained in a report that was tabled to the portfolio committee on cooperative governance and traditional affairs (Cogta) in June last year, were set aside by the parliamentary committee. The CRL recommended that religious organisations should self-regulate and that a legislation framework was required to form the basis of that peer-review mechanism to deal with legal loopholes. They expected Parliament to pass such legislation. Mkhwanazi-Xaluva said that currently there was nothing stopping rogue church leaders from brainwashing their congregants into selling their belongings and withdrawing their pensions and handing them over to the church. She said they also wanted the Constitutional Court to confirm their powers because, as things stood, their recommendations were not taken seriously. Instead of approving the CRL’s recommendations, the portfolio committee rejected them and sent its own recommendations to CRL on February 21 – the same day the Ngcobo massacre took place. Part of the Cogta portfolio committee recommendations included that the CRL should convene a national consultative conference to engage all churches. “We never, ever thought that we would reach the stage where Parliament nullified every recommendation [of ours]. We feel disempowered,” Mkhwanazi-Xaluva said. She said CRL had made recommendations relating to other forms of African religion such as ukuthwala (a form of abduction to compel a girl or her family to agree to marriage) and traditional initiation before but these were never questioned by the Cogta portfolio committee. Parliament passed acts following their recommendations in African religions and there were laws in place to regulate them, she said. “All religions are the same. We will ask the Constitutional Court about the independence of the CRL and about the effectiveness of our recommendations. If the CRL does not have powers, we need to ask: why then spend the taxpayers’ money if this institution is powerless,” she said. Mkhwanazi-Xaluva suggested that lobbyists, who represented the interests of individual church leaders, influenced the Cogta portfolio committee’s decision to overturn their recommendation. Richard Mdakane, said they decided that the CRL needed to consult with churches to ensure they are self regulated. Mdakane said the CRL was required by law to convene the consultative conference with churches. He said the committee had compiled a report that would be sent to the National Assembly for discussions. The National Assembly would then decide on whether to adopt or reject the committee’s recommendation. He said their stance was that churches must self-regulate and that the state should not be involved because “the state and churches are separated”. “Where laws are broken the state cannot fold its arms. We agree on that. There are laws that need to be enforced by the security cluster. There are bylaws at local government level that have to be enforced. There is no shortcut to this thing. Enforce laws and bylaws to save our people in church. Wherever there is criminality the law must take its course,” Mdakane said. At the time, Mkhwanazi-Xaluva said the CRL could not convene the conference because of funding challenges. Tebogo Sithathu, chairperson of the Gospel Music Association of South Africa, said they supported the CRL’s decision to go to the Constitutional Court. Sithathu said the CRL was a Chapter 9 institution like the office of the Public Protector and its recommendations should be taken seriously. He said former Public Protector Thuli Madonsela had to go to court for her recommendations to be taken seriously. “We know what happened to the previous administration after that,” Sithathu said.